It’s here! A special video series that allows you sit back and watch session after session on how to fully utilize the 4-3-3 formation. Randy Waldrum, one of the most experienced minds in US soccer, shows you through practice drills and demonstrations how to coach your team to take full advantage of this popular formation to get into attacking positions, to break down opposition attacks and win more games. As you know, the 4-3-3 is one of the most popular formations in modern soccer. Used successfully by teams including Chelsea, Inter Milan, Ajax and the Dutch National Team, the attacking style of 4-3-3 can be used to devastating effect to rip through the back four and create more goal scoring opportunities. However, the success of this formation hinges upon your ability to take advantage of the extra forward and how your team handles a three man midfield. Get it wrong and you could find the opposition swamping through the middle, or breaking along the flanks with frightening regulatory, leaving your team lost for ideas on what to do. Coaching the 4-3-3 provides you with a virtual pitch side seat as you watch as veteran soccer coach Randy Waldrum explains how he has won multiple titles utilizing the 4-3-3. In a coaching career spanning nearly three decades, Waldrum has won numerous coaching awards and League and National Championships. From 1999 he has guided the Women’s team at Notre Dame to the NCAA semi finals nine times including two National Championships. Now you can see exactly how he does it in this special 12 part video series. With instant access you could be watching the videos within minutes. Coaching the 4-3-3 is packed with drills and demonstrations as Waldrum trains his players both how to attack and defend with the 4-3-3. By the end you’ll have gained valuable insights you can use to coach your own team and take full advantage of one of the most attacking formations in modern soccer. “The 12 videos of the “Coaching the 4-3-3 are an excellent resource experienced coaches and for coaches that would like to use the system but may not be too familiar with the components within it. These clear, concise and informative videos deal with all aspects of the 4-3-3 with good focus on the attacking areas including a teams required depth when playing it successfully. These videos are great for any level of coaches who aspire to have their team achieving maximum use from the 4-3-3 system.” – Wes Morlham – qualified soccer scout working the US college circuit and English football Leagues, as well as holding various LMA, English FA, Prozone Sports and US Soccer Coaching licences and certificates. Coaching the 4-3-3 was filmed at the Nebraska WORLD CLASS COACHING International Coaching Seminar. This two day event attracts coaches from all over the US to witness live sessions and demonstrations by some of the top coaches in the country. Randy Waldrum was invited to present a session due to his exceptional record of successfully transforming teams into champions utilizing the 4-3-3 formation. Coaching the 4-3-3 enables you to watch Waldrum’s sessions, from start to finish. Over the course of the twelve videos you will gain many valuable lessons on how to use the 4-3-3 to its full potential, such as how to utilize a ‘free’ holding midfield player, how to cut the opposition’s attacking line and how to squeeze their midfield when in defense . Many attendees paid $195 to attend the Nebraska WORLD CLASS COACHING International Coaching Seminar, and now you can gain the valuable insights they paid so much to see, but at a much lower cost. The Coaching the 4-3-3 video series features veteran soccer coach Randy Waldrum. In a career spanning nearly three decades, Waldrum has won numerous coaching awards and his teams have won multiple titles through utilizing the 4-3-3 to devastating effect. Waldrum’s playing career started at Midwestern State University, Texas, where he won all-district honors in all four seasons. After majoring in physical education and political science, Waldrum then played professionally for the Los Angles Skyhawks and the Indianapolis Daredevils in the American Soccer League. When his playing career came to an end, Waldrum swiftly jumped into coaching, becoming the Director of Coaching for the Texas Longhorns, 1987-89. During his tenure he coached seven teams at the club before moving on to coach both the men’s and women’s teams at the University of Tulsa, 1989-1994. To this day, Waldrum remains Tulsa’s most successful coach, and was voted the Central Region Coach of the Year in 1990. 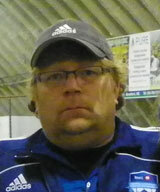 The following year he won MVC and Midwest Region Coach of the Year honors for the men’s team’s performance. Waldrum’s next challenge was to launch Baylor University’s women’s soccer program from scratch in 1995. In his first year Waldrum was named the National Coach of the Year for a first year program, while Baylor University was chosen by Soccer Buzz as the nation’s best first year program. In his third season, Waldrum successfully led the Bears to their first Big 12 Championship, with a 9-0-1 record. In 2004 the University of Notre Dame came knocking for Waldrum’s talents as head coach because it was looking for an experienced tactician and motivator to guide its women’s team. During his tenure, Waldrum has guided the Irish to eight NCAA semi finals, six NCAA College Cups and two national championships. In 2006 his dominant team didn’t lose until the national title match, tying the university record of 25 wins in a season and one of only five teams to achieve this in women’s college soccer. In 2009, Waldrum served as President for the 28,000 member National Soccer Coaches Association of America (NSCAA) and continues to be recognized as one of the top minds in US soccer. Instant Access – You can be watching the videos within minutes of placing your order. 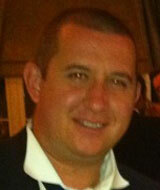 View 24/7 – View the videos as often as you like, when you like 24/7 365 days a year. Video 1 – In the first video, Waldrum starts with some passing warm-up drills that get players using the full width of the pitch to open up space and to speed up the pace of the game. When attacking with a 4-3-3 the aim is to always keep pushing up the field, which is a key aspect Waldrum emphasizes throughout the video. Video 2 – Waldrum demonstrates how to utilize double pass movements in 2 v 1 situations on the flanks. This video also shows you how to keep pressing defenders with the 4-3-3 and how to open up the opposition’s defense so you can get the ball to your attackers. Video 3 – These drills show you how to coach teams on getting the ball into the box with a 4-3-3. Waldrum also explains why he uses a layered, rather than a flat, midfield and why it is advantageous over playing in traditional lines. Video 4 – In this video, Waldrum utilizes drills further up the field to demonstrate how to get the ball behind the opposition’s back line. Waldrum then explains how to exploit the 4-3-3’s number advantage in the attack to swamp and break the opposition’s back line. Video 5 – Waldrum demonstrates how to beat opposing defenders, whether they are playing wide or loose on the wing. He also explains how to play different forward formations depending on what the opposition does and their defensive ability. Waldrum also shows you how to tweak your team’s shape with wingers in response to how the opposition’s defense reacts. Video 6 – In the final attacking video, Waldrum emphasizes the importance of players being in their teammate’s line of vision and how to avoid leaving players on the ball stranded. Video 7 – The focus now shifts to defense with a 4v4 warm-up drill that helps players practice keeping their shape as a flat back four. He then progresses to drills focused on cutting the opponent’s attacking line, and pushing them back with a staggered defense. Pressure, cover and balancing players are the key themes of this video. Video 8 – Waldrum demonstrates how to defend the whole width of the midfield with a 4-3-3, and how to swing the ball from side to side to test how the opposition reacts. You can then decide how to break their attacking line, either by passing or dribbling. Video 9 – In this video you can watch how to squeeze their attacking midfield. Using his favored check mark shape, Waldrum explains how to read the opposition and how to shift your midfield so you can cope with their wide players with a three man midfield. Video 10 – This video focuses on your defensive back four, and how to keep spacing right to deal with the opposition’s attacks. Waldrum also explains how to use a free holding player to screen the back four and prevent opposition passes to their forwards. Video 11 – Waldrum demonstrates what to do when they play the ball wide and when centre backs should stop pushing forwards on the counter attack, but instead hold position. In this video, Waldrum also explains how to use a holding player and two high midfielders in his favored defensive staggered formation. Video 12 – In the final video, Waldrum highlights how to defend properly against players in a lot of space. He also highlights how to switch to a 4-5-1, by dropping wingers to be defensive midfielders. Finally, Waldrum explains how to deal with opposing counter attacks when you don’t have time to shift formation while still preventing the opposition from swamping the midfield. Randy Waldrum has a long illustrious career of coaching teams to use the 4-3-3 to its maximum potential. Literally everywhere Waldrum has coached the teams have won league titles and trophies. He guided Notre Dame women’s team, for example, to two NCAA national Championships and five consecutive semi-final appearances. With this sort of track record, it’s no wonder Waldrum is widely regarded as one of the top soccer minds in the US. This compelling video series gives you a pitch side view, with multiple camera angles, of both Waldrum’s highly effective coaching style and his valuable insights into how to use the 4-3-3 to exploit, counter and defeat opponents. Expert guidance on how to utilize the 4-3-3 in attack, such as how to open up space with a three man midfield, getting the ball quickly up the pitch and how to beat the opponent’s back line more frequently with an extra man upfront. How to defend with a 4-3-3 by switching to 4-5-1, squeezing the opponent’s midfield and how to isolate their attacking wingers. Insights on how to use Waldrum’s match winning tactics, such as a staggered midfield, cutting the opponent’s midfield lines and how to utilize a holding ‘free’ player. You can observe Waldrum’s highly successful coaching style in action and gain ideas you can apply to your own coaching sessions. Some coaches prefer books and some prefer videos for their coaching material. We will give you both. 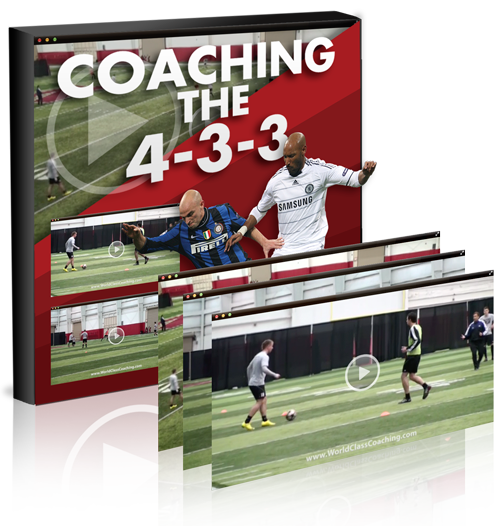 We have created an eBook showing all the drills and exercises in the videos and it’s your FREE when you order the Coaching the 4-3-3 12 part video series. So now you can look at a written description and easy-to-read diagrams while you follow along with the videos. WORLD CLASS COACHING is recognized globally for the quality of its soccer coaching resources, which are used by over 40,000 soccer coaches from around the world. We wouldn’t be offering you Coaching the 4-3-3 unless it achieves our exceptionally high standards. However, if you are not 100% satisfied with the quality of Coaching the 4-3-3 after six months then please contact us for a no quibbles refund. 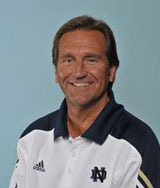 During a coaching career spanning nearly three decades, some of the season records set by Randy Waldrum’s teams include the University of Tulsa advancing to the NCAA tournament for the first time in 1991 with a 14-3-0 record, a 17-3-1 season record for Baylor University in his first year and in 2006 the Notre Dame women’s team didn’t lose until the title match, tying the team record of 25 wins in a season. Waldrum’s coaching record speaks for itself. When he talks, you listen. Coaching the 4-3-3 is a unique opportunity to gain a virtual pitch side seat and see exactly how Waldrum coaches teams to play the 4-3-3 to run rough shod over opposing teams and win leagues and titles. Along with tactical insights and drills you can use, you can also observe Waldrum’s coaching technique in action, which delivers superb results everywhere he coaches. Comprising of 12 videos, Coaching the 4-3-3 is a valuable addition to your coaching library, whether you coach the 4-3-3 or want to know how to defend against it, particularly if you ever face the bold challenge of coming up against one of Waldrum’s championship winning sides. P.S. Coaching the 4-3-3 is a 12 part video series that breaks down the popular formation, from both an attacking and defending standpoint. Filmed at the Nebraska WORLD CLASS COACHING International Coaching Seminar, this video series enables you to gain a virtual pitch side seat and observe how Randy Waldrum, one of the smartest minds in US soccer coaching, trains his national championship teams to use it to devastating effect. 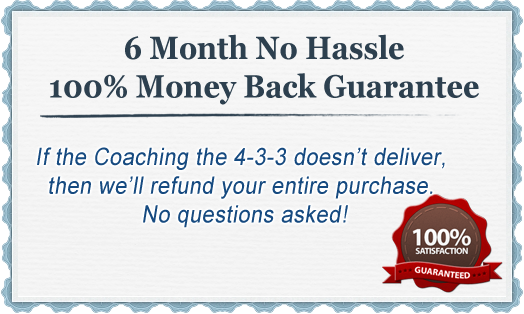 P.P.S If you are not 100% satisfied with the quality of the soccer coaching resources in Coaching the 4-3-3 after six months then we will refund your purchase in full, no questions asked.